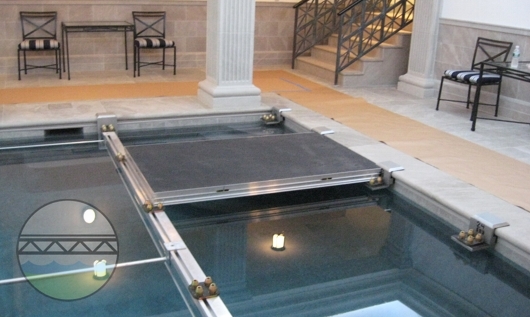 Custom Manufactured Modular Pool Cover Systems are unique in that they are custom manufactured to fit the shape, size and configuration of a specific pool. 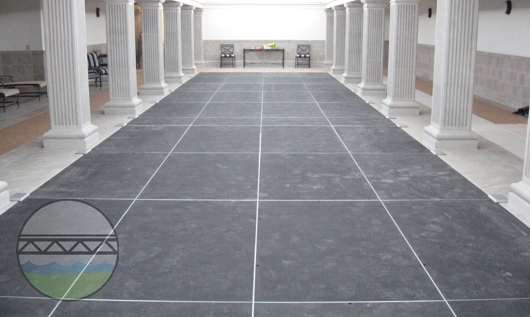 The entire flooring system is custom engineered during the manufacturing process to fit pools of all shapes and sizes. 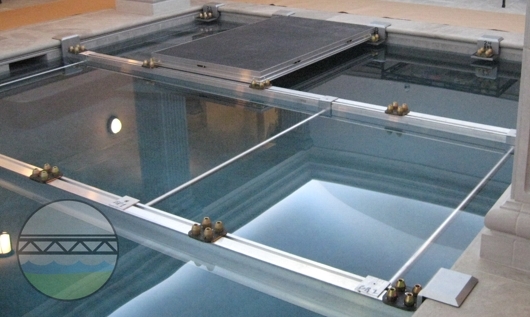 They are relatively simple to assemble, light-weight, can be engineered to run flush with the edge of the pool, and strong enough to be used for a variety of purposes. 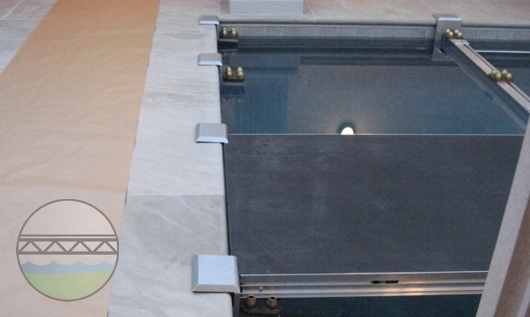 Please click on the images below to see some of the pool cover detail. Available Surface Options - Plexiglas Clear Acrylic & Poly Vinyl. Stainless Steel and Aluminum Construction. Looking to Purchase a Pool Cover? - Click here to complete our online questionnaire. please complete our questionnaire on the "Contact Us" page, and we'll call you to discuss your options.